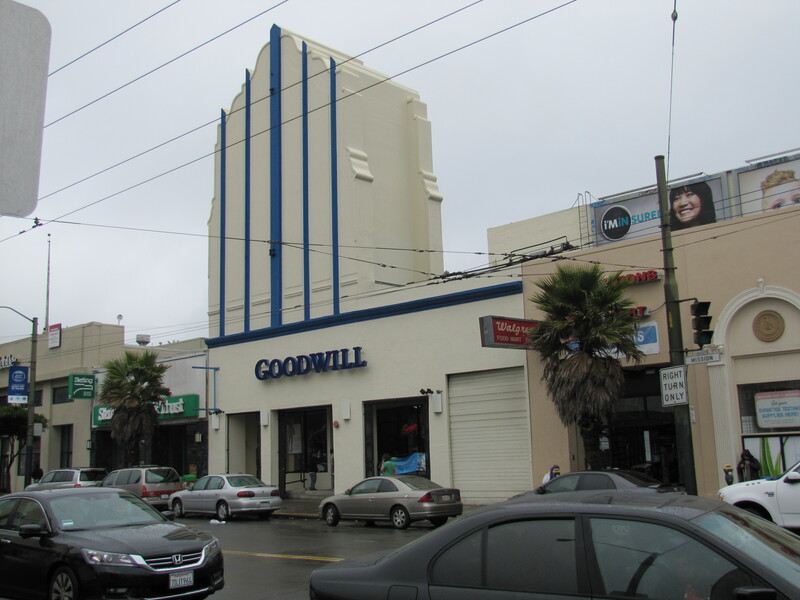 This afternoon I decided to venture out in the rain and continue my documenting of old movie houses on Mission Street, tackling those south of Cesar Chavez. 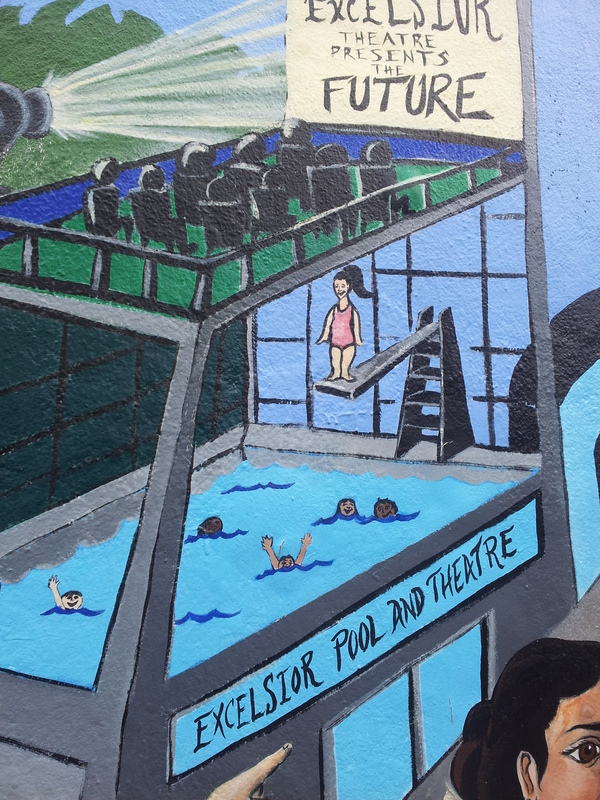 What I initially thought was going to be a depressing journey proved to be one of the most enriching to date with an unexpected encounter with a volunteer tour guide. 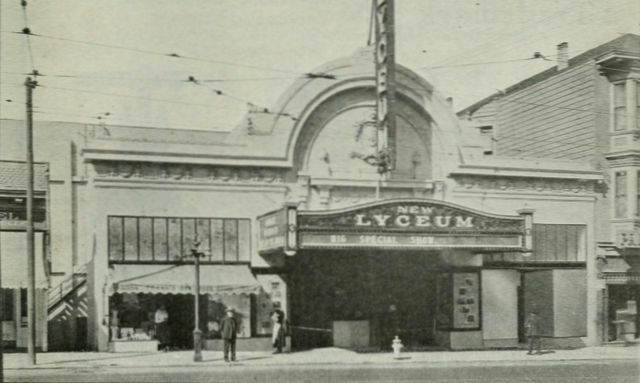 First up at 3350 Mission was the Lyceum Theatre that operated there from 1907 to 1964 (Unknown date of the interior and top shot, the one with the street car is from 1947). What remains today is, well nothing. 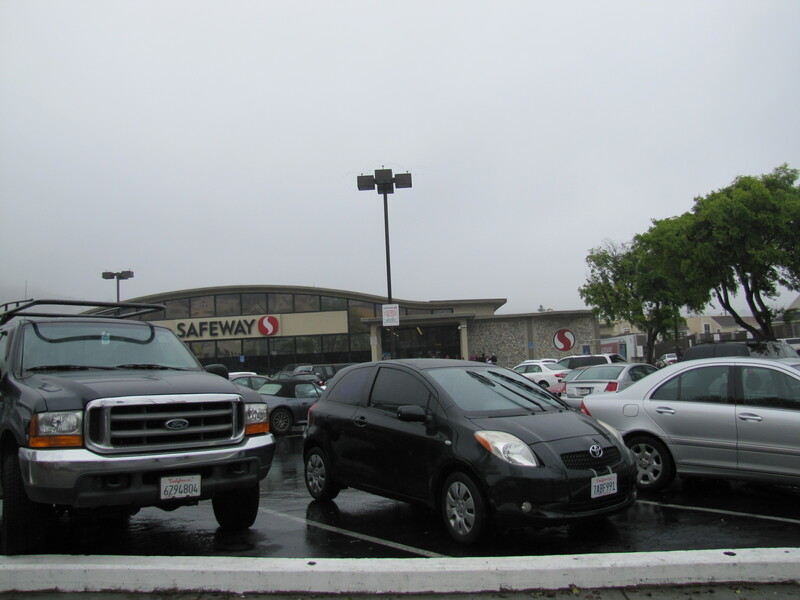 It’s a Safeway. 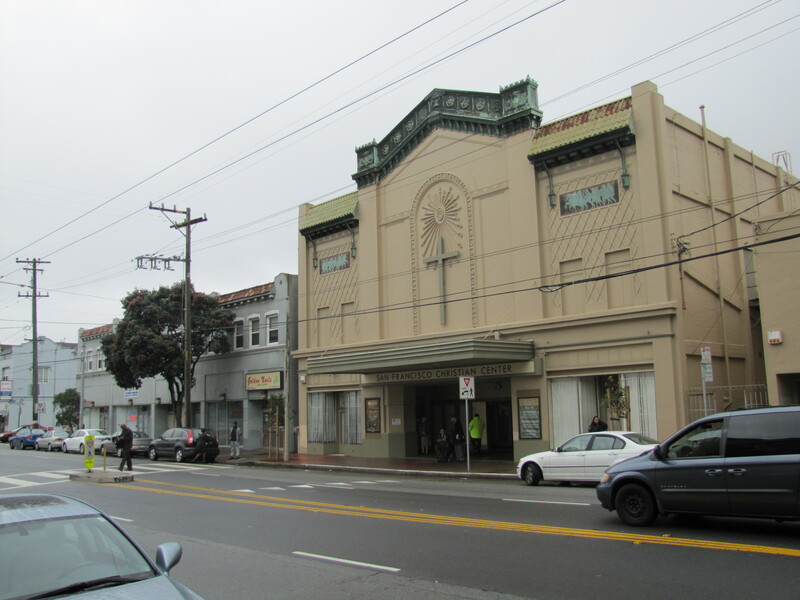 Located in what is now called La Luenga (The Tongue), this little strip of Mission Street is an odd mix of Bernal, Mission and the edge of Noe Valley. 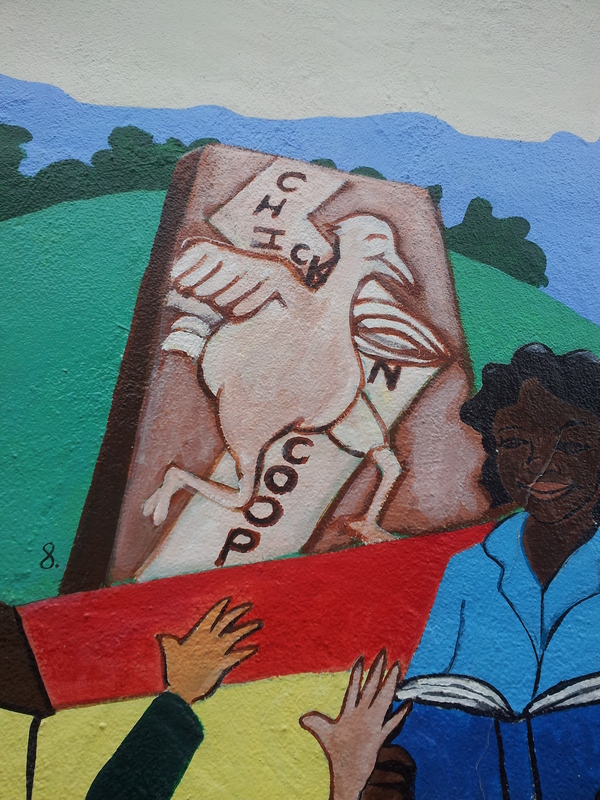 It has a feel of what the Mission was 20 or more years ago. 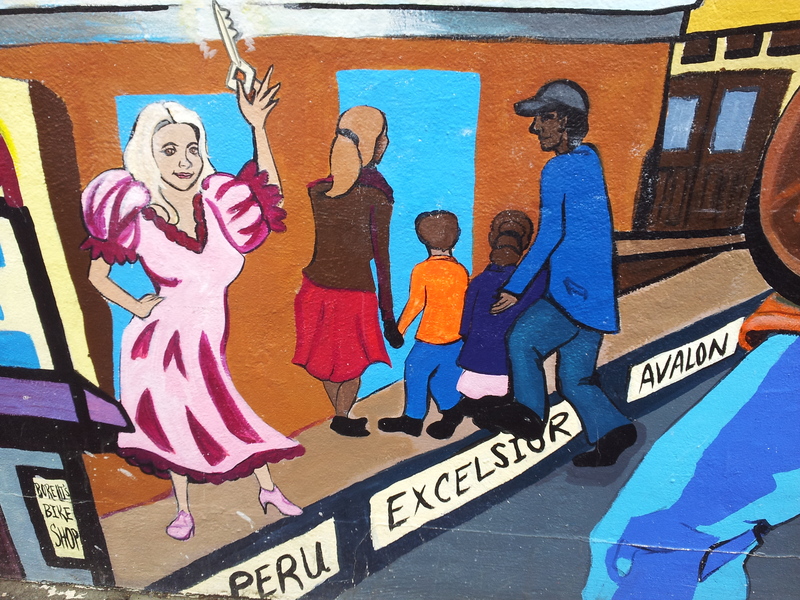 I continued down to the Excelsior, a part of the city that virtually no tourists and even few locals visit. I’ve spent only a little bit of time there, but it definitely has the feel of a San Francisco that is rapidly disappearing. 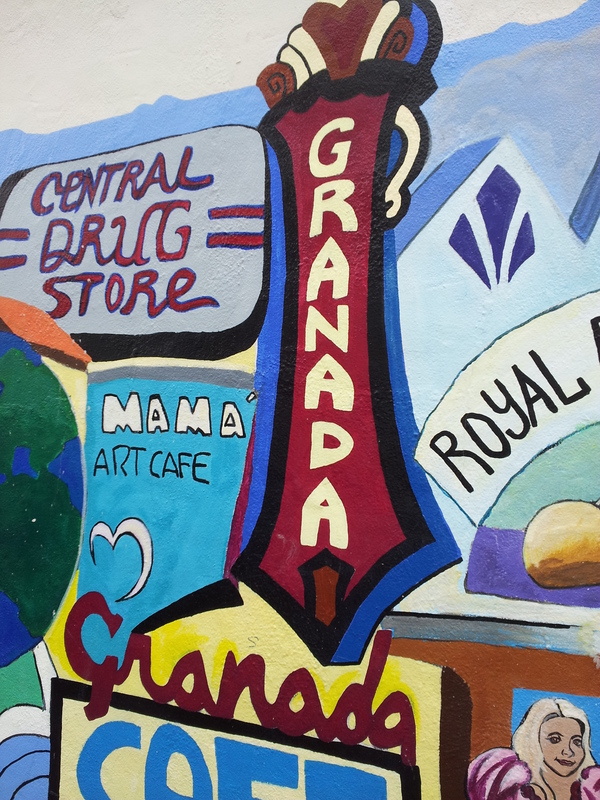 It is a neighborhood that has plenty of problems, but it’s unfair to dismiss it as just some blighted neighborhood to speed up and lock your doors when driving through. 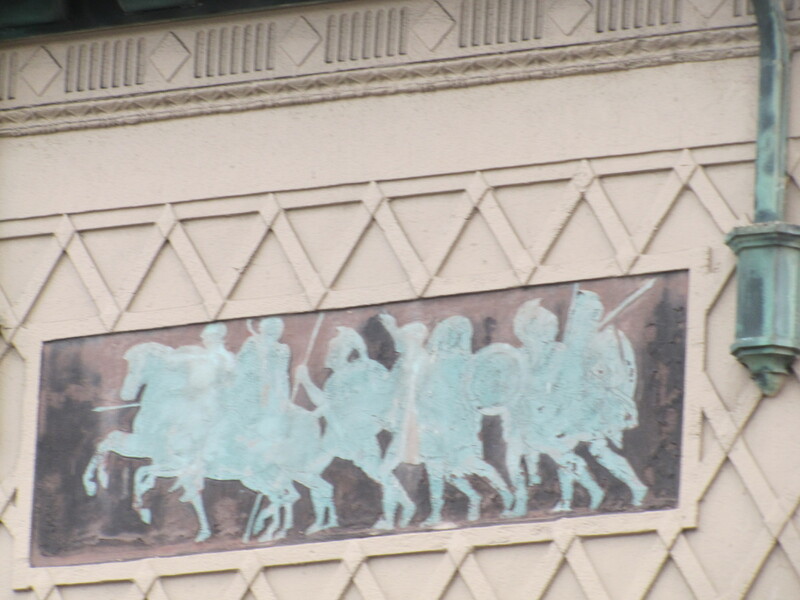 No “live/work” lofts, upscale shops, Euro-bistros or high end chains here. 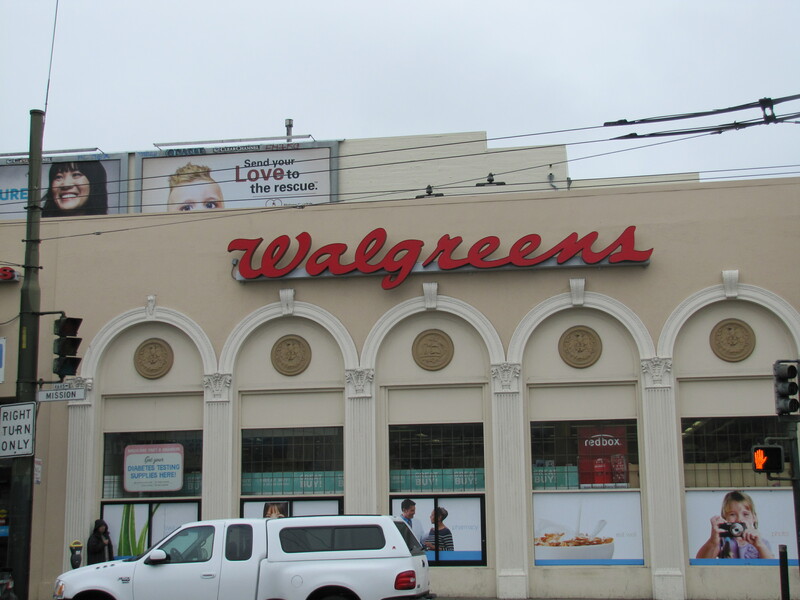 Besides Walgreens and O’Reilly Auto Parts there are almost no chain stores. 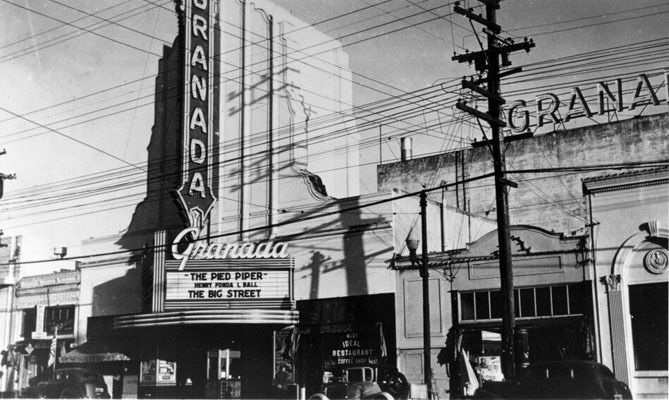 At 4631 Mission, the Excelsior Theater operated from 1922 to 1931 and then continued as the Granada Theater until 1964. 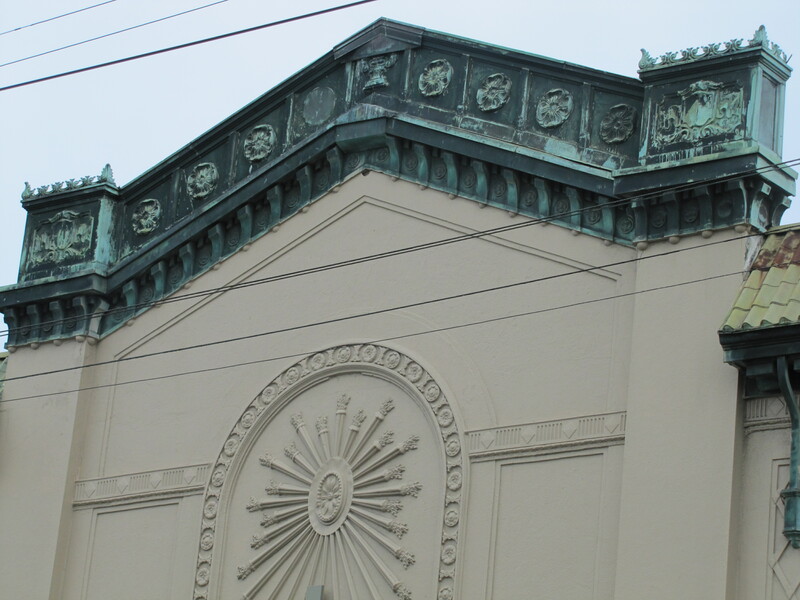 Now a Goodwill Store, it has retained little of its original ornamentation except for the medallions above the Walgreens. 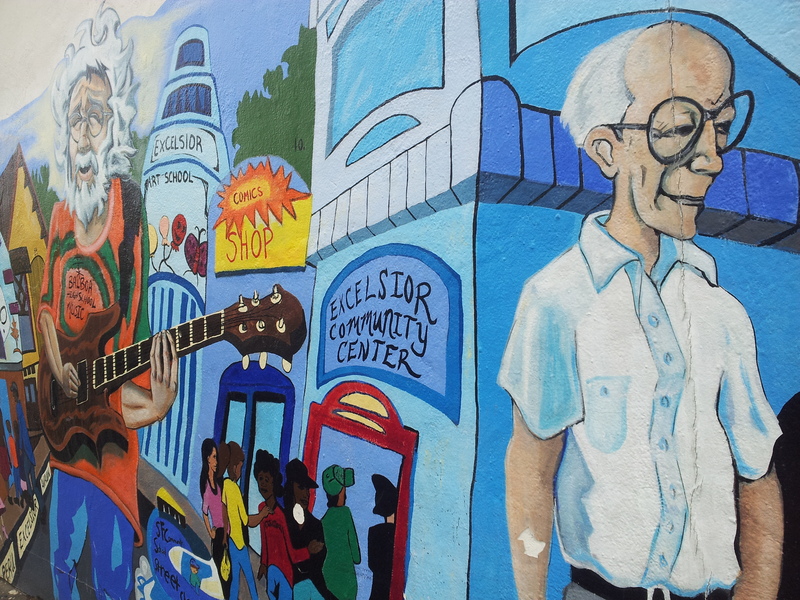 Turning the corner I found this great mural that documented the neighborhood and the incarnation of the theater as both the Excelsior and the Granada. 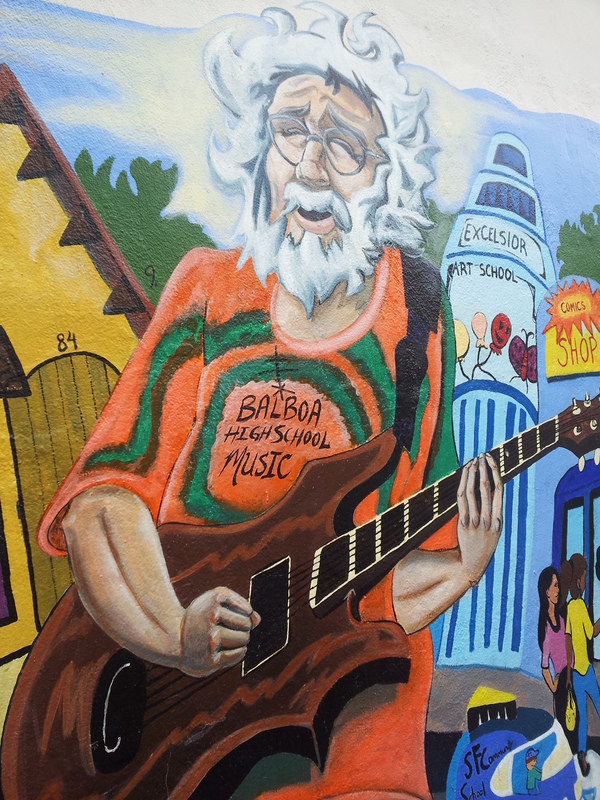 Just as I was taking a photo of Jerry Garcia on the mural, an older guy walked up to me and said, “May I tell you something?” My years as an urban dweller made me initially cautious, and I could tell he sensed my wariness. I could hear my mother’s voice reminding me not to talk to strangers, and here I was lugging around a fancy camera. 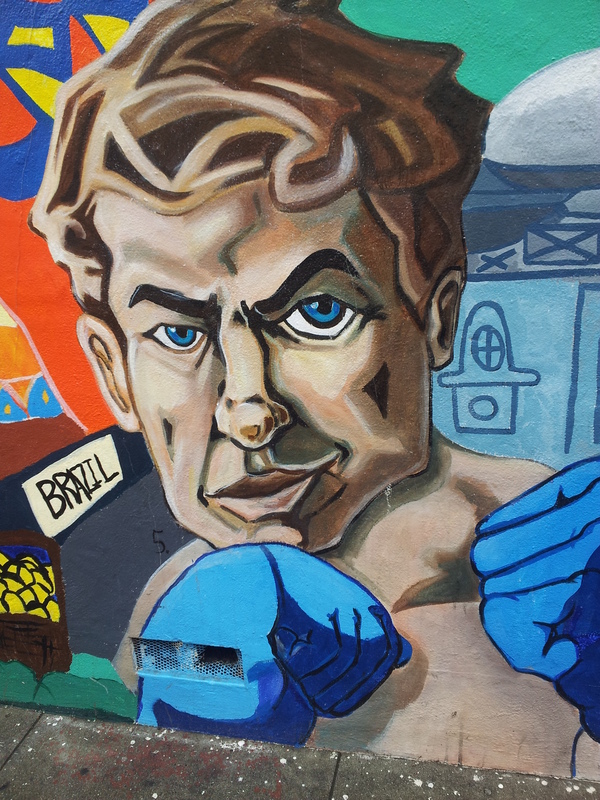 But on such a busy street I didn’t think a man 15 to 20 years my senior was likely to mug me. He seemed a little disoriented, and his accent suggested that he was probably a San Francisco native since he spoke with that nearly Brooklyn-like cadence that is all but gone but you know it when you hear it. My cynical instincts kept telling me that any second the encounter would get weird. 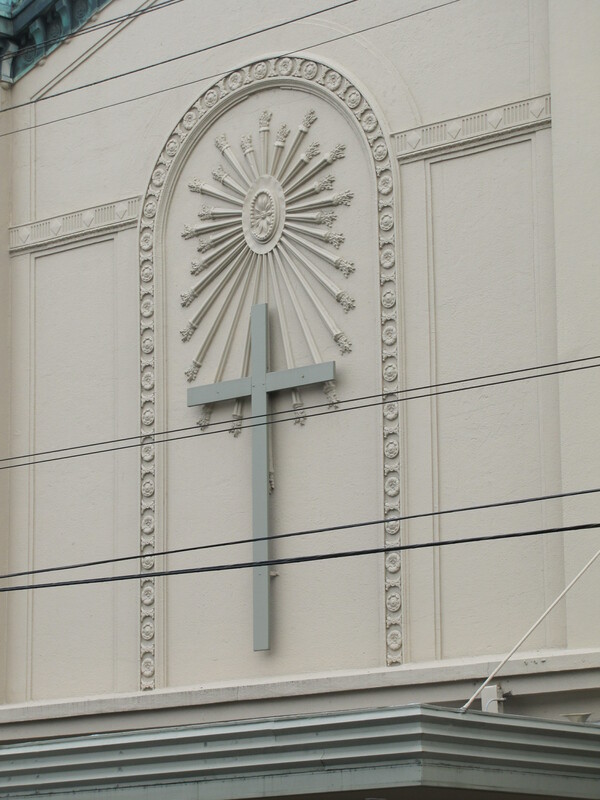 He was going to ask for something — money, to join him at his evangelical church, to sign a petition. He asked me if I was a professional photographer and said that he was touched and impressed that someone was interested in the neighborhood he had lived in his entire life. Having had a father who had Alzheimer’s I could sense he might likely be in the early stages of it whether he knew it or not. And he seemed like the kind of guy I could see my dad spending an entire Saturday afternoon with drinking strong, really bad coffee and eating pie while they gabbed away about the past, politics, car repairs. A side of me wanted to invite him to lunch or coffee, and another side kept saying that this encounter would have to end oddly. But as I thanked him, he said that his name was Jim and then asked if he could shake my hand, as if he had enough awareness that he sensed my wariness. I heartily shook his hand and thanked him for giving me so much history. As I walked away and tried to dismiss it as a random, meaningless encounter I realized that I was tearing up. 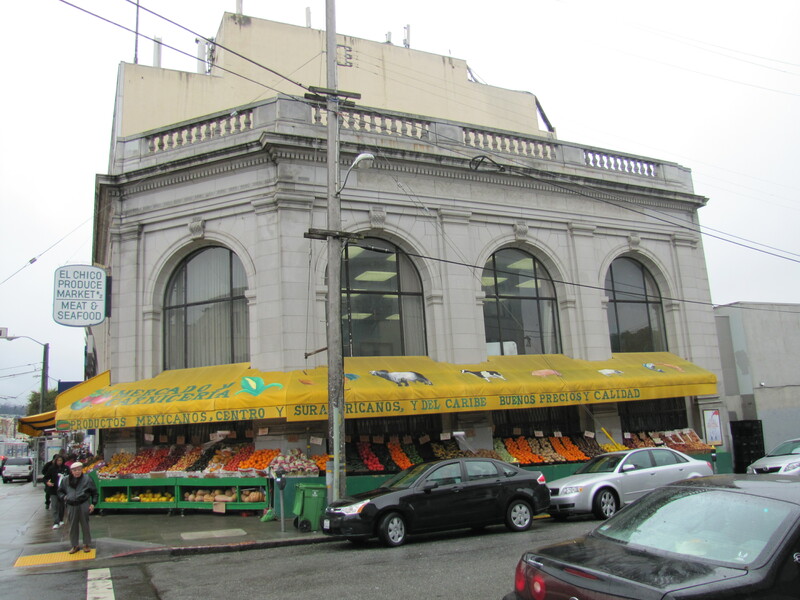 About a block south at 4734 Mission an earlier version of the Excelsior operated from 1911 to 1913. 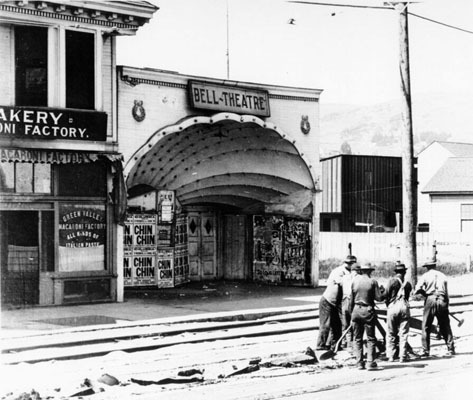 It then became the Bell Theater and operated until 1920. The above fascinating photo is from 1919. 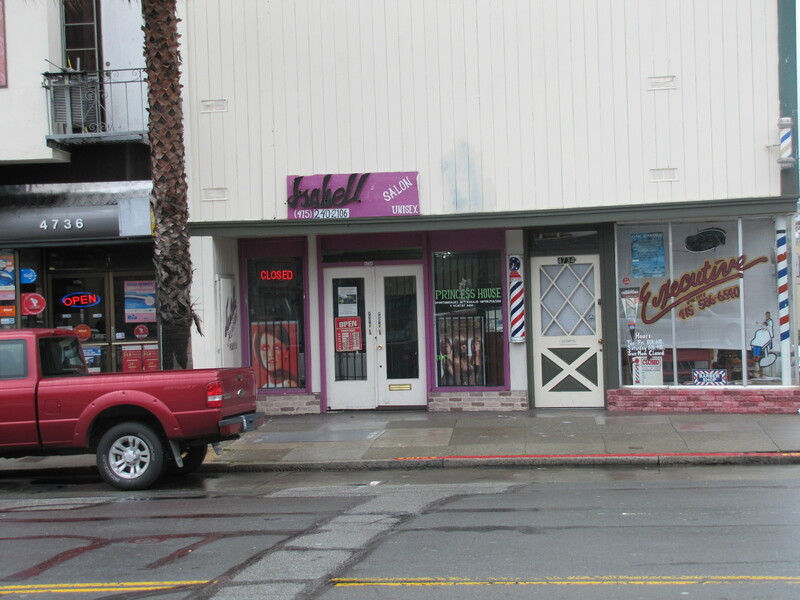 Now a “his and hers” hair salon, it’s hard to tell if it is the same building, but the size and top of the structure suggests that it may be. 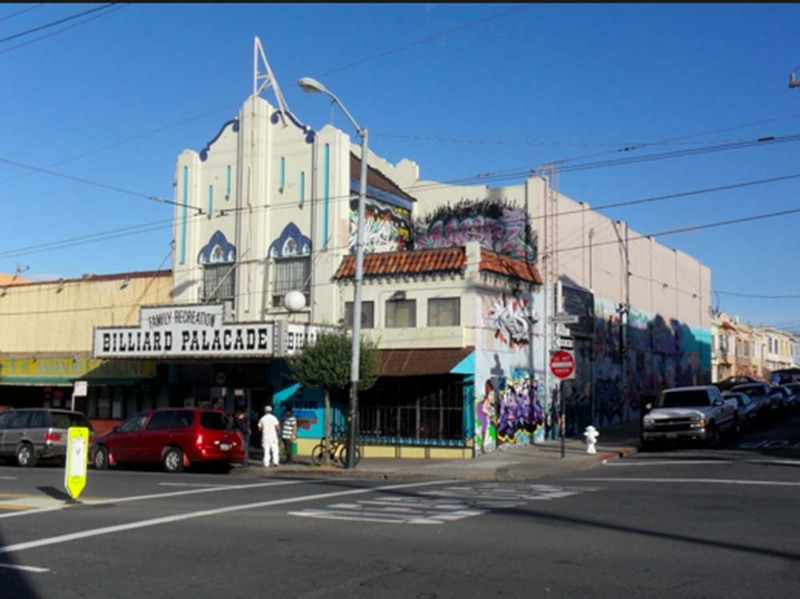 At 5177 Mission, the Billiard Palacade began as the Rialto Theater in 1928, but I can’t find any vintage photos or info on how long it operated. 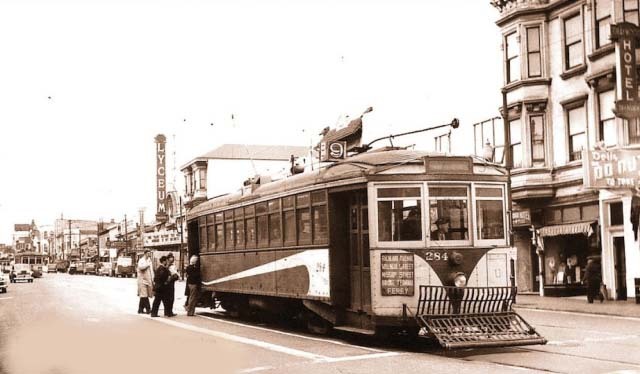 Finally, the biggest and most pleasant surprise was at 5825 Mission which opened operated as the State from 1925 to 1931 and as the Del Mar from 1947 to 1950. 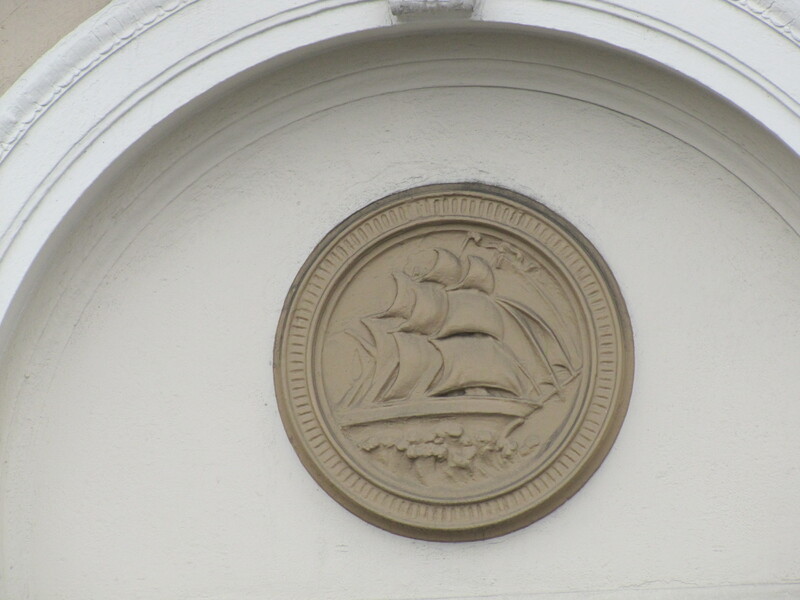 It is seen above in 1929. 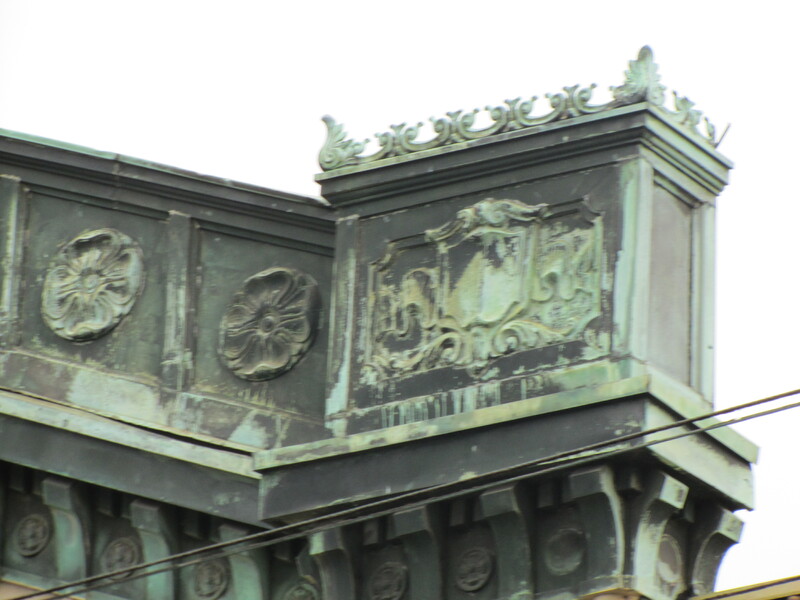 The ornamental integrity of the exterior is in tact, and there is a sweet irony in seeing a cross competing with the bas relief of what appear to be Roman soldiers. 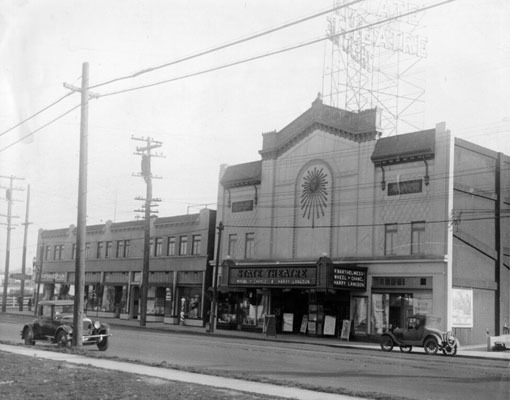 This entry was posted in Then and Now and tagged history, Mission, theaters, Then and Now. Bookmark the permalink.